Founded in 1992/1993 by Shri Brahmananda Sarasvati, the International Schools of East-West Unity (Gurukula), Inc., at Ananda Ashram exists to "strengthen the relations and remove misunderstanding between East and West in the fields of culture, philosophy and science..."
Its main departments are the School of Sanskrit, the East-West School of Dance, the East-West School of Music and Ananda Ashram Yoga, with Ayurveda Studies available as an elective course. 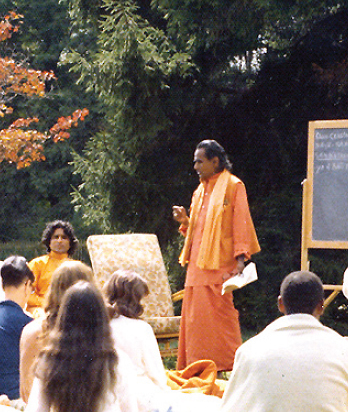 The rich educational and cultural curriculum at Ananda Ashram is presented by teachers trained under the Founder himself as well as by guest teachers and artists from different parts of the world, offering distinguished programs characterized by a meditative, holistic approach. The International Schools of East-West Unity (Gurukula), Inc., is recognized as a tax-exempt educational organization, 501(c)(3).